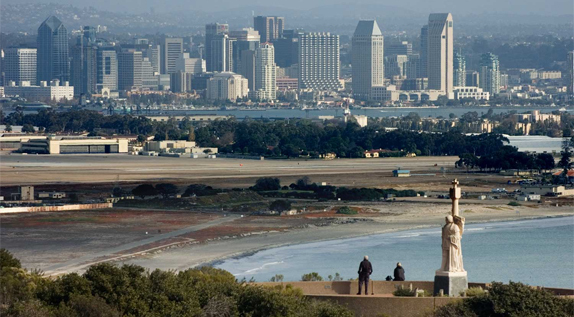 San Diego is a destination that is perfect for families. 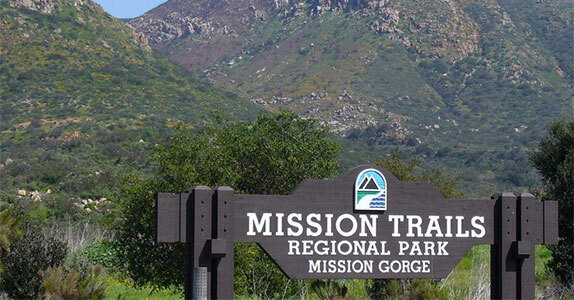 Featuring year-round nice weather, breathtaking beaches, dozens of public parks, 70 miles of beaches a plethora of museums and the San Diego Zoo, there are plenty of activities to amuse children of all ages. 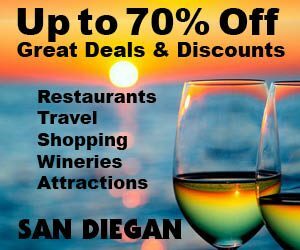 This is your guide to San Diego's best activities, attractions, entertainment options, and museums for children and families. Posted July 13th, 2009 by Barry Berndes & filed under Carlsbad, Carlsbad Restaurants, Downtown Restaurants, Gaslamp Quarter, Gaslamp Quarter Restaurants, Golden Triangle, Italian, Kid-Friendly Restaurants, Mira Mesa, Mira Mesa Restaurants, Restaurants. Posted June 11th, 2009 by Barry Berndes & filed under Banquets & Catering, Banquets and Catering, Breakfast & Brunch, Breakfast & Lunch, Encinitas, Encinitas Restaurants, Kearny Mesa, Kearny Mesa Restaurants, Kid-Friendly Restaurants, Kids-2, Mission Valley, Mission Valley Breakfast, Mission Valley Restaurants, North County, North County Breakfast, North County Coastal, North County Coastal Breakfast, North County Inland Restaurants, Restaurants, Temecula, Temecula Restaurants, Vista. You’ll definitely be happy with this discovery. A memorable gourmet meal is the apple pancakes, which are baked instead of cooked in a skillet. Other winners include blueberry pancakes, pecan pancakes, fresh potato pancakes, sourdough flapjacks, banana pancakes and Hawaiian pancakes. They also feature crepes, waffles and omelettes made with farm-fresh grade AA eggs. 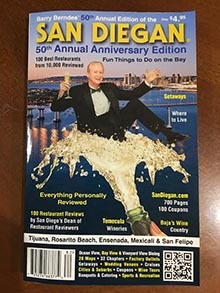 Posted June 7th, 2009 by Barry Berndes & filed under Banquets & Catering, Featured, Featured on Main Page, Featured San Diego Restaurants, Kid-Friendly Restaurants, Kids-2, MCRD Graduation Party Venues, Mexican, Old Town, Old Town Restaurants, Party Venues, Rehearsal Dinners, Restaurants. It’s the oldest restaurant in Old Town. They have two dining rooms filled with colorful piñatas and a romantic little patio. There are lots of standards such as enchiladas, fajitas, and chilles rellenos. Posted May 19th, 2009 by Barry Berndes & filed under Attractions, Attractions in Mission Bay, Banquets & Catering, Kids, Major Attractions, Mission Bay, Mission Bay & Pacific Beach. Posted May 19th, 2009 by Barry Berndes & filed under Attractions, Banquets and Catering, Kids Attractions, Kids Party Venues, Major Attractions, Party Venues. Posted May 19th, 2009 by Barry Berndes & filed under Banquets & Catering, Italian, Kid-Friendly Restaurants, Kids Attractions, Kids Party Venues, Pizza, Restaurants, Sports & Recreation. Posted April 16th, 2009 by Barry Berndes & filed under Attractions, Attractions in Point Loma, Historic Museums, Historic Sites, Kids, Kids Attractions, Major Attractions, National Park, Point Loma. Posted April 11th, 2009 by Barry Berndes & filed under Attractions, Attractions in Encinitas, Banquet Venues, Banquets & Catering, Botanical Gardens, Corporate Meeting Venue, Encinitas Weddings, Kids Attractions, Kids Party Venues, Major Attractions, Military Wedding Venues, North County Coastal, North County Coastal Weddings, Party Venues, Rehearsal Dinners, Wedding Venues. Posted April 10th, 2009 by Barry Berndes & filed under Aquarium, Attractions, Attractions in La Jolla, Banquets & Catering, Corporate Meeting Venue, Kids, Kids Attractions, Kids Party Venues, La Jolla, La Jolla Banquets & Catering, La Jolla Corporate Meeting Venues, La Jolla Weddings, Major Attractions, Sports & Recreation, Wedding Venues.